There are only a handful of natural supplements for anxiety that have been scientifically proven to be effective, despite the many claims you might see browsing the isles of health food stores. But don't be put off! There are many natural, healthy ways to deal with anxiety -- and chances are, you don't need to get hooked on dangerous pharmaceuticals. When considering how to manage anxiety, supplements, though not a cure-all by any means, can help with the symptoms of neurochemical imbalances. Combined with lifestyle changes, and other home remedies, they can be very effective for those wanting to avoid the risks and side effects of anti-anxiety drugs. But it is important to note, that even the most harmless supplements for anxiety can be habit forming. So use them with discretion. 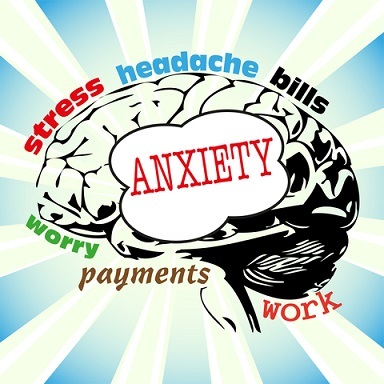 Diet and lifestyle play a critical role in managing anxiety and stress. When given a choice, stress relief from physical exercise, auto suggestions, deep breathing and relaxation techniques are preferred. Consider these natural supplements for anxiety as PART of a lifestyle and diet shift. Do you need to exercise more, relax regularly, cut down on caffeine or see a therapist? Can you benefit from mind power techniques such as self hypnosis, relaxation exercises or meditation? What adjustments do you need to make in your life, for your higher and best good? In a recent study of the neurochemical impact of botanical, natural supplements of anxiety, Lemon Balm, showed the greatest inhibition of GABA-T .
A 600-mg dose increased of calmness but also reduced self-ratings of alertness (so if you need to be alert, you may want to decrease dosage.) After a 300-mg dose, there was a significant increase in the speed of mathematical processing, with no reduction in accuracy. I love the smell of lavender, don't you? According to the University of Maryland Medical Center, scientific evidence suggests that aromatherapy with lavender calms the nervous system, improves sleep, promotes relaxation, and can even lift your spirits. Some studies even show reduced agitation in dementia patients Lavender flowers are approved Germany to treat insomnia, restlessness, and nervous stomach irritations. According to the natural institute for health, Passionflower is proven to be effective in the treatment of anxiety. Sometimes as effective as prescription drugs!. But more evidence is still needed for using it to treat other conditions such as insomnia, nervous stomach, hemorrhoids, asthma, heart problems and fibromyalgia. Remember that natural supplements for anxiety, along with other home remedies, while effective, should be considered just one piece of the anxiety puzzle. They should not be considered a substitute for relaxation exercises, lifestyle changes and the care of a qualified healthcare professional.